Spinach is my favorite leafy green vegetable. I love to have these greens whenever possible as spinach is very healthy: it's an excellent source of vitamin A, vitamin E, vitamin K, vitamin C, vitamin B1 and B2, magnesium, iron, calcium and is a very good source of dietary fiber. 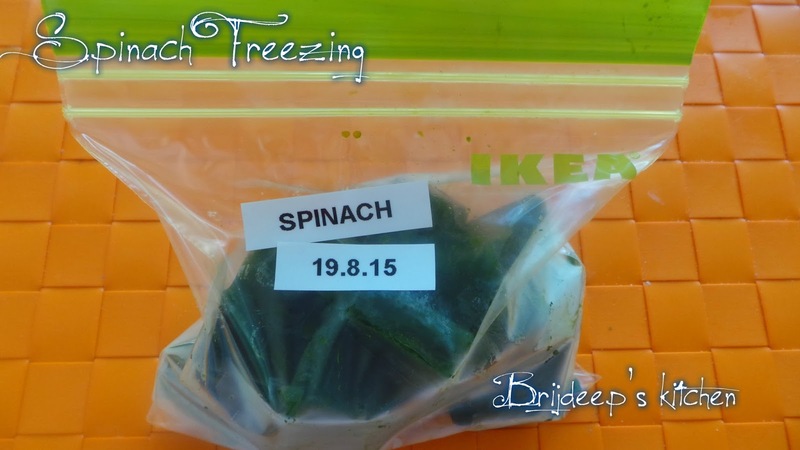 But fresh spinach is not always available. Or sometimes there is too much of spinach which cannot all be used up quickly, so instead of letting it go bad looking for ideas to use it all up, I feel it's a better way to blanch and freeze and use whenever required. 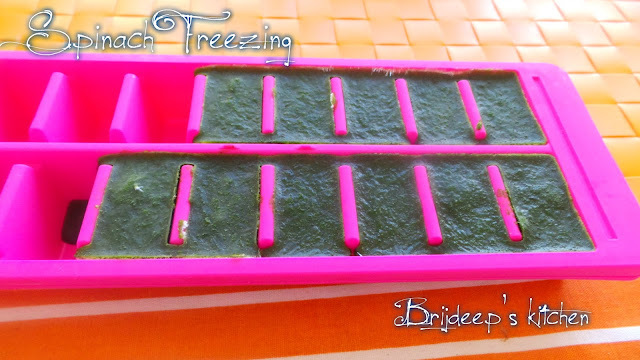 Wash and clean the spinach leaves and blanch them. 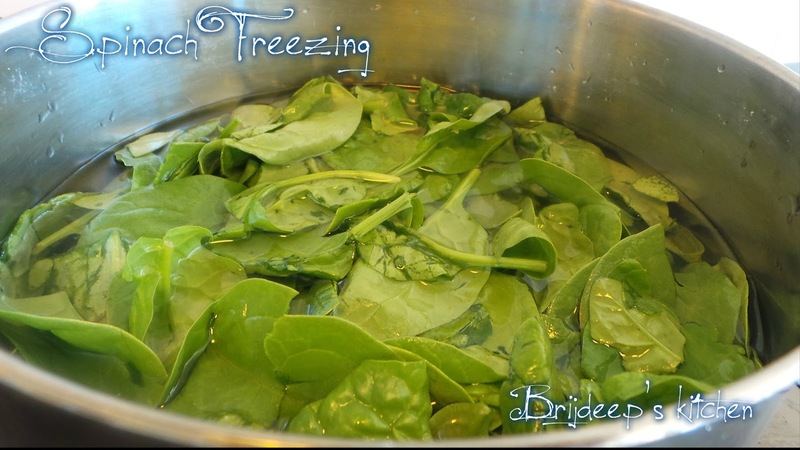 Blanching process: add to the boiling water and when it begins to wilt, remove and add to ice-cold water. 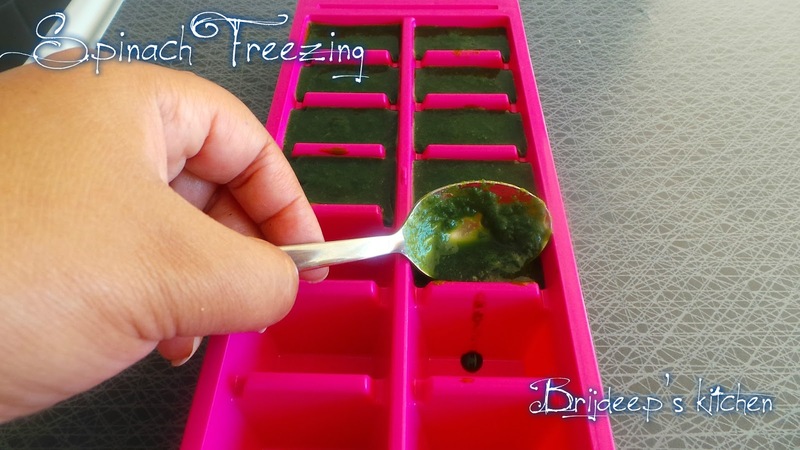 Spinach is one of those vegetables which is recommend boiling to free up acids and allow them to leach into the boiling water; this brings out a sweeter taste from the spinach. Discard the boiling water after cooking; do not drink it or use it for stock because of its acid content. 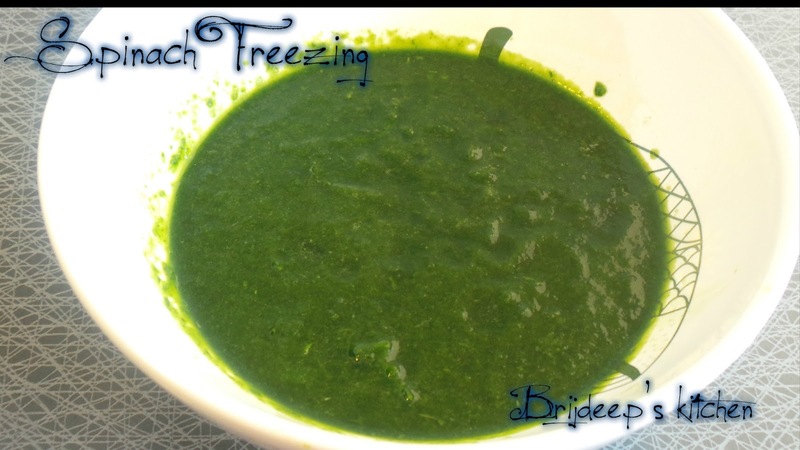 Grind to a smooth puree without adding any water. 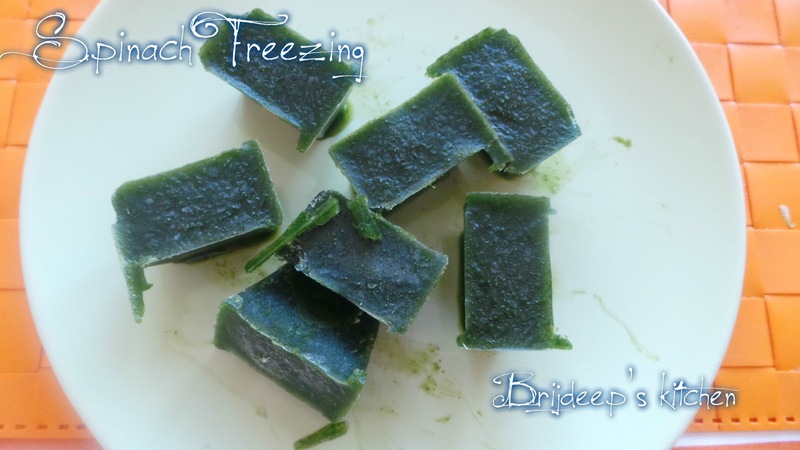 Fill in ice trays and freeze for 24 hours. 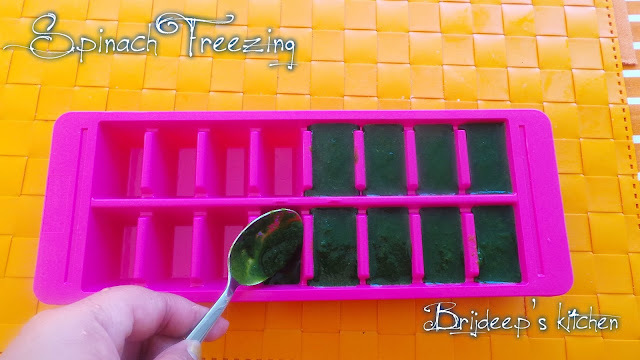 Remove the ice trays from the freezer. Store the spinach cubes in ziplock bag and date the bag so you remember to use it up quickly. 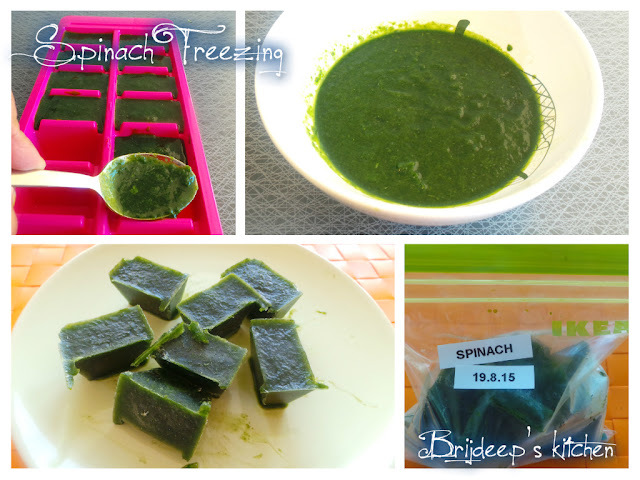 You can use this frozen spinach cubes in many healthy ways: add the cubes to soups, add to boiled dal to get a different and wonderful flavor, sambhar, add to curries (curries for koftas, egg curries, chicken curries), palak paneer, even add to dough to make spinach parathas, add to dosa or idli batter etc. Three decades: Summed up ! !